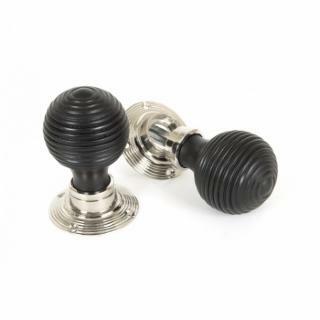 An attractive Beehive knob with a rich and dark ebonised finish. 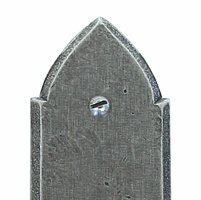 Each set comes complete with detachable roses in a stylish polished nickel and matching fixing screws. Thank you very much for the review Mr J Shepard and we're are very glad that you are pleased with your Ebony mortice/rim beehive knobset.